This hearty pasta dish with Israeli influences is finished with a Za’atar roasted chickpea and orange blossom honey topping. Heat oil in large rondeaux on medium-high heat. Add onion, red pepper flakes and rosemary sprigs. Cook 5-6 min. or until onions are translucent; reduce heat to medium. Add lamb; continue to cook 15-20 min. or until browned and caramelized. Deglaze with wine; reduce by half. Add tomatoes, water and bay leaves; season to taste with salt and pepper. Bring mixture to a simmer; reduce heat to medium-low and simmer 20-25 min. or until thickened. Skim excess fat on surface of sauce. Bring salted water to a boil in steam-jacketed kettle or large stockpot on stovetop. Add pasta; cook for half the time directed on package. Drain. Meanwhile, melt butter in medium heavy-bottom pot on medium heat. Stir in flour; cook 1-2 min. stirring constantly until bubbling but not browned. Whisk in hot milk; bring to a boil stirring constantly. Reduce heat to low; season to taste with salt and pepper. Combine prepared béchamel and ragout in rondeaux until combined. 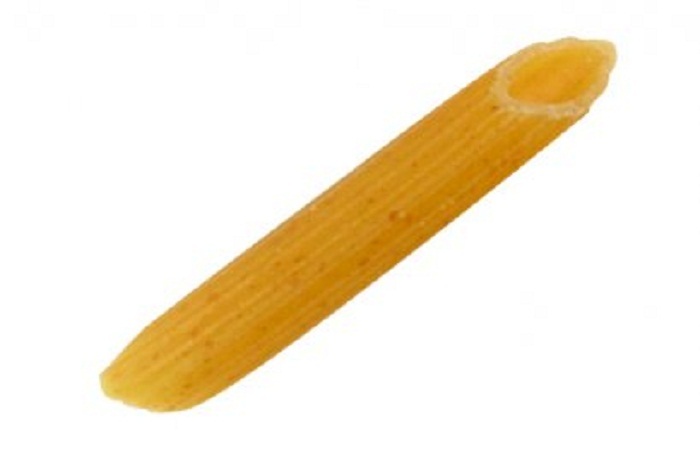 Stir in par-cooked pasta. Transfer mixture to greased hotel pan. Top evenly with Za’atar Roasted Chickpeas and cheese. Bake in 400 degree F standard oven for 20 min. or until heated through. Drizzle with honey before serving.